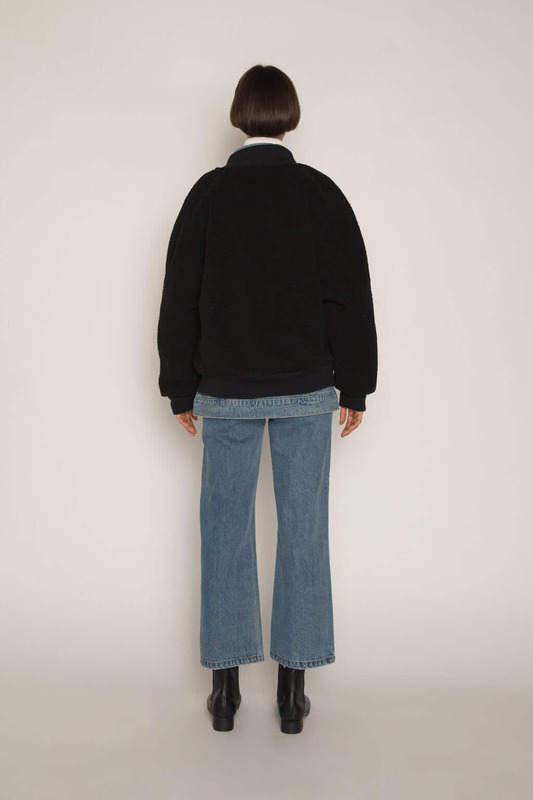 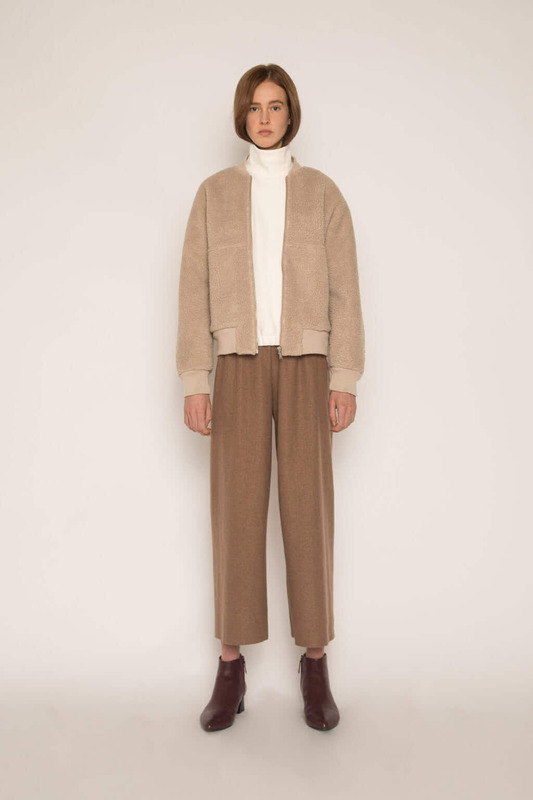 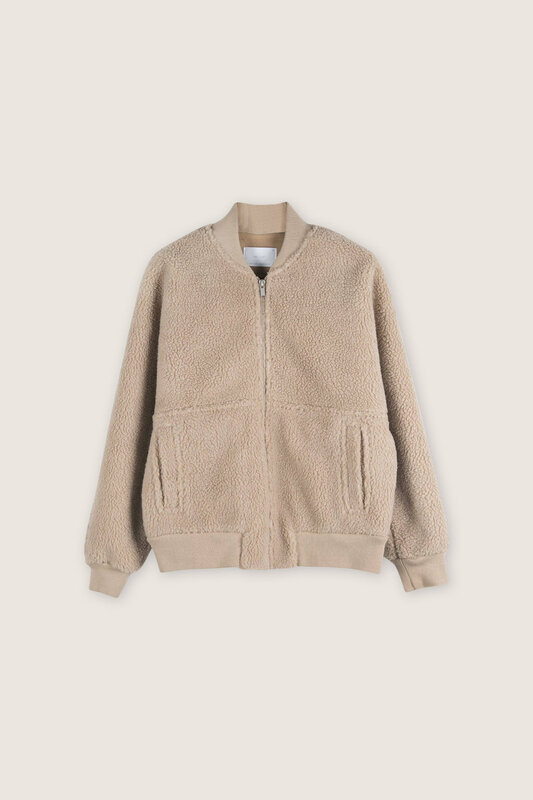 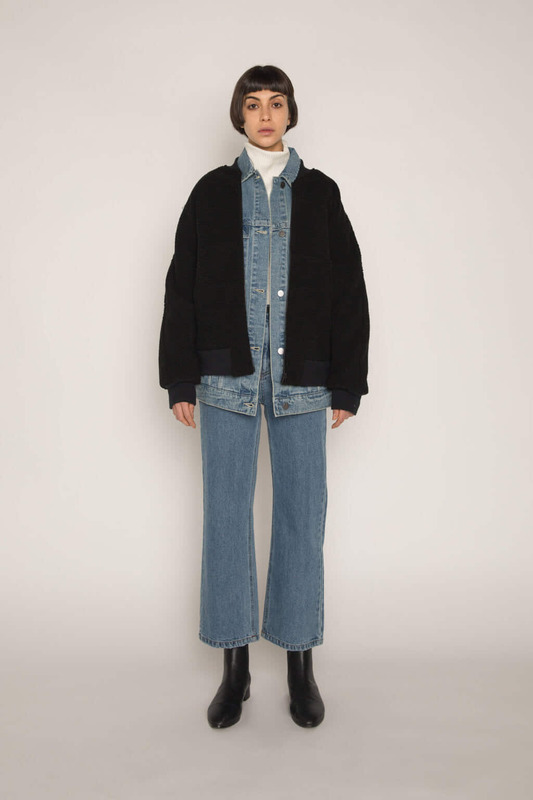 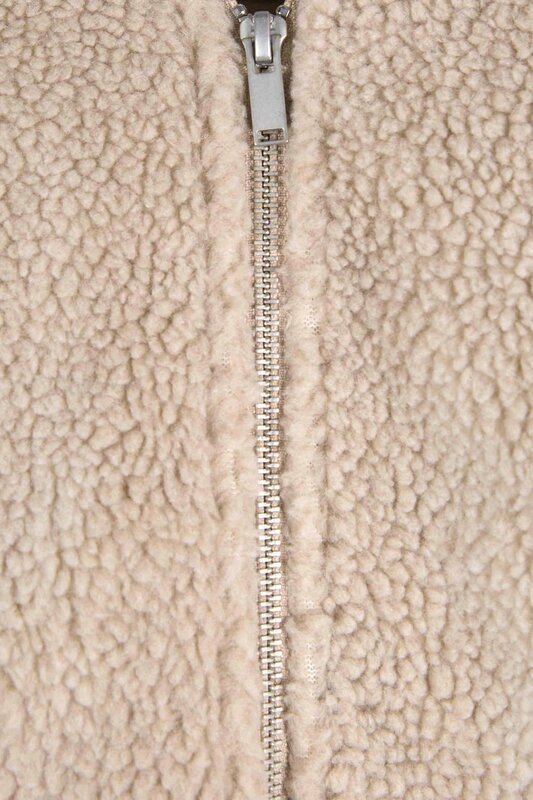 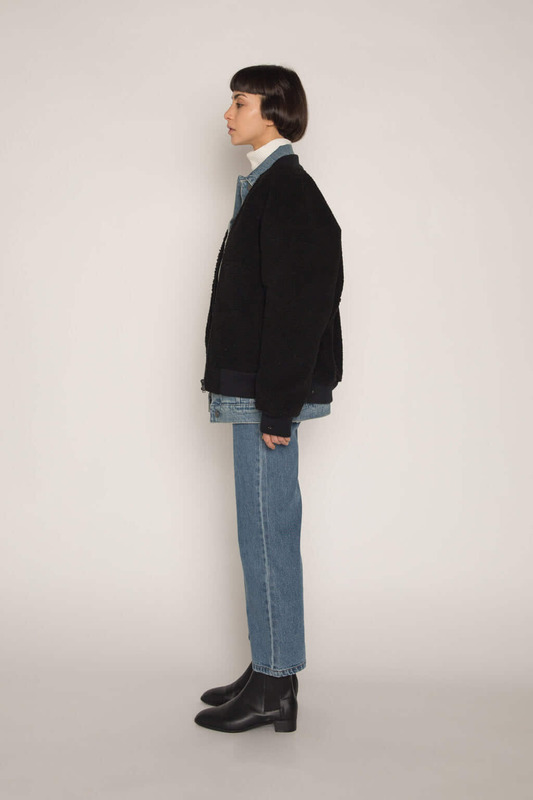 Crafted from a soft Sherpa, this cropped bomber features a relaxed silhouette with ribbed trim detailing, and two front pockets. 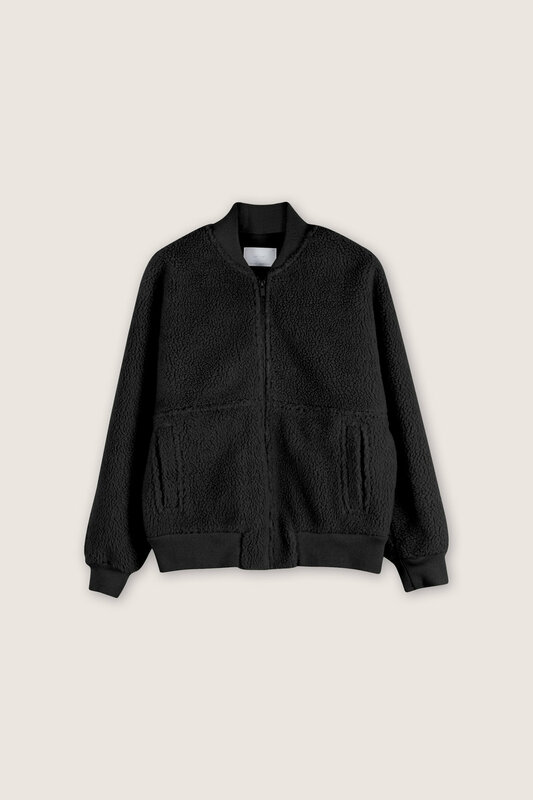 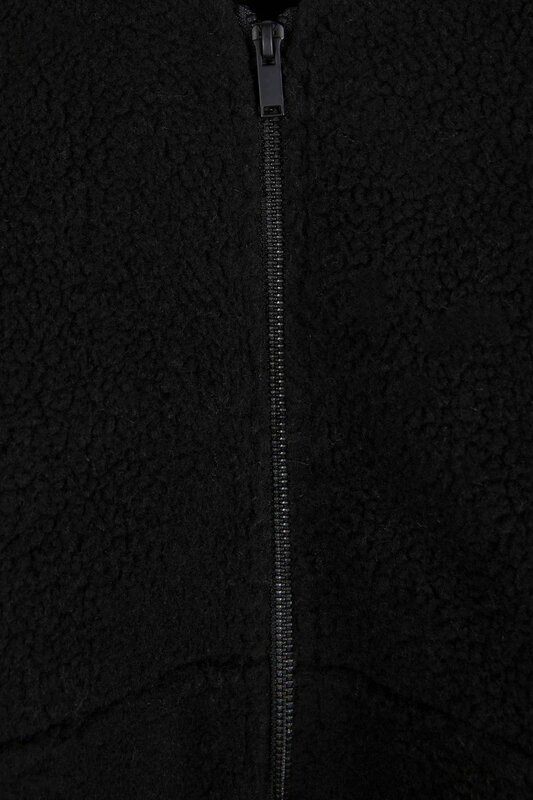 This warm outer layer will keep you cozy on those cooler days. 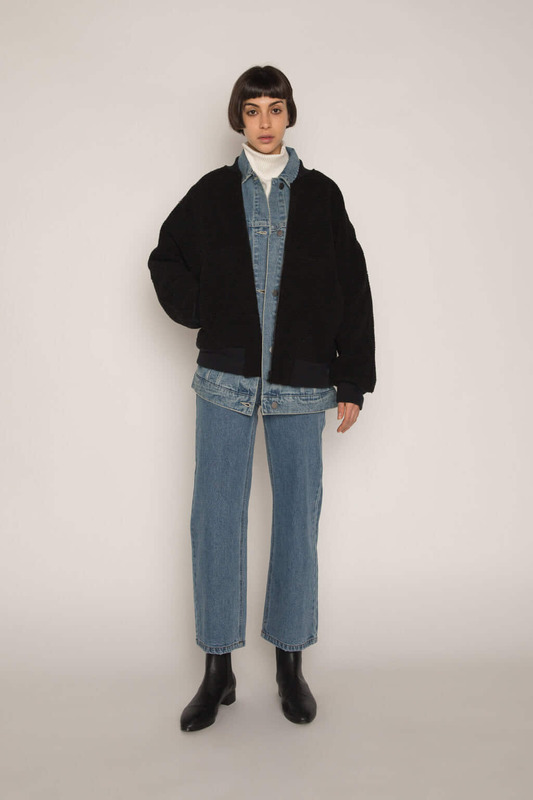 Pair with a turtle neck, jeans, and ankle boots for a casual day look.